Morristown serves as the seat of Morris County, New Jersey. It is 2.8 square miles in size, and consists of a mixed-use downtown, mixed-use corridors, and beautiful historic neighborhoods. Morristown is located at the crossroads of major regional transportation corridors, including an interstate highway, significant state and county roadways, and commuter rail to New York City. 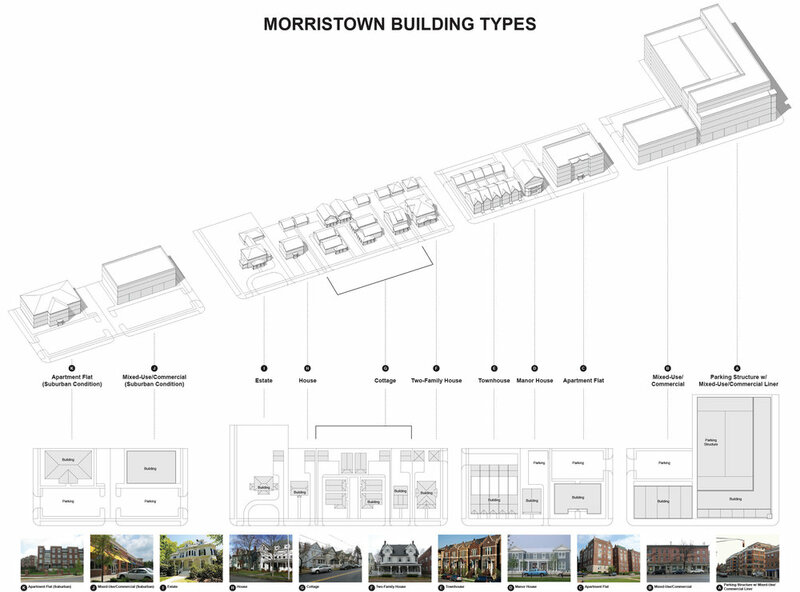 Given the unique characteristics of Morristown, the Town decided to pursue a rather novel approach to land use planning—by linking it inextricably to a transportation plan. The goal of the project was to balance the amount, location, and type of transportation facilities with the community’s land development patterns. Our approach provided the appropriate framework for analyzing and designing smart, feasible strategies to promote responsible development and growth, while at the same time preserving and strengthening existing neighborhoods.